"The GTK design project has been a big inspiration for both current and future KLEEMANN products. The wheel of the GTK has inspired the new TS-7 wheel with its unique directional one-piece design, and elements from the GTK design are similar to some parts of the current styling solutions for the KLEEMANN S-class and CLS-class. Current design projects planned for launch in the next 6-12 months for new Mercedes-Benz models will feature significant shapes and details from the GTK design. As all other KLEEMANN styling solutions, the design of the GTK is based on the unique KLEEMANN design code of elegance and simplicity acknowledging the Nordic design traditions of simple and organic shapes. The positive feedback from the market over the past couple of years confirms us in the belief that the KLEEMANN design direction we set in 2004 is right and appealing to the international market," Christian Brandt concludes. "In the creation of the GTK we faced several new challenges, and the experience we gained from solving these challenges, enable us to develop and manufacture even more sophisticated and reliable performance solutions for existing and future Mercedes-Benz car models," Claus concludes. Featuring the normally aspirated SLK 55 AMG engine fitted with a complete KLEEMANN Kompressor system, the GTK boasts 540 HP of power and 700 Nm of torque. This power is transferred to the road through a 7-speed automatic gearbox, a KLEEMANN limited slip differential and ultra low profile Toyo T1-R tires on 20" KLEEMANN alloy rims designed specifically for the GTK, giving the driver maximum performance and control on the road. 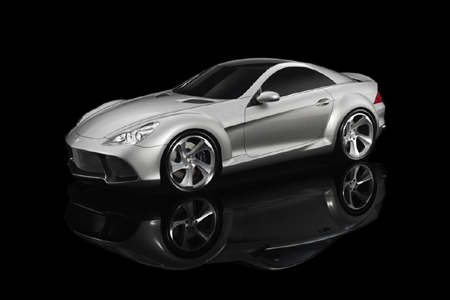 Being a safe, reliable and everyday usable sportscar reflects the Comfort Power slogan of KLEEMANN, and set it apart from many other race bred sportscars.